Each year, one of the three big console manufacturers gets an opportunity to dazzle Game Developers Conference attendees with a fabulous keynote speech. 2009 is Nintendo's year, with president Satoru Iwata returning to the stage. Iwata will kick off GDC 09 with an address titled "Discovering New Development Opportunities," scheduled to delight the dev-heavy crowd on Wednesday, March 25, 2009 at 9 AM. 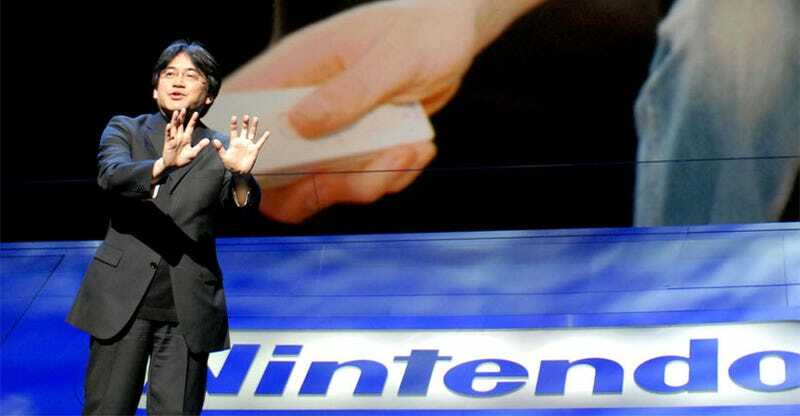 His previous keynote, delivered at GDC 2006, focused on "disrupting development" and the genesis of Nintendo's Brain Age: Train You Brain In Minutes A Day. What will Iwata bring this year? You may remember that Iwata also showed The Legend of Zelda: Phantom Hourglass for the very first time at GDC in 2006. Could he have another Zelda-related announcement up his sleeve, as industry analysts have predicted? And could it use the "Kind Code" casual-friendly technology Nintendo patented last year? We've been promised that the Zelda team is "hard at work" on something new. Previous GDCs have seen games like LittleBigPlanet and Gears of War 2 being formally announced amidst developer-centric motivational speeches. We'll just have to speculate for now what Nintendo will bring while we devise drinking game rules for the number of (laughs) and (chuckles) that we'll hear from Iwata.